Repeating the same format in each chapter makes the book difficult to read straight through. Being a tech book author, though, I realize that many people do not read tech books straight through and so this may just be an issue for me as I’m trying to write this review. Also, considering the less tech-savvy target audience, this repetition probably helps to make the information more accessible. The entire book reads like documentation for jQuery UI, which isn’t necessarily a bad thing. The examples are straight forward and explained in everyday language that makes the content very consumable. I personally find the passive/conversational tone a bit wearing (“Let’s take a look…”, “…then we…”, etc. ), and would prefer a more authoritative tone throughout. The content, though, is spot-on for the intended reader, with excellent summations of complex concepts without over-simplifying. The description of cross-domain Ajax issues was very well handled, for example. 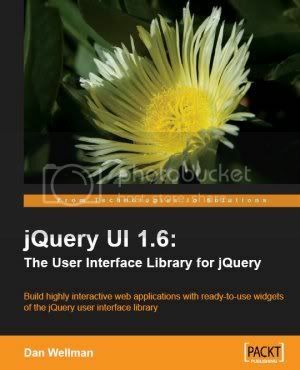 As with Learning jQuery , jQuery UI 1.6 is a book that understands its target reader and his/her expected takeaways from the book. If you’re a web designer who already knows jQuery and want to learn about how jQuery UI makes reusable widgets easy, then this book is for you. 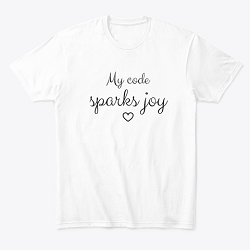 The coverage is good and complete, with enough examples to start making use of jQuery UI immediately. I wouldn’t worry that jQuery UI 1.7.2 is the most current version of the extension because many of the core concepts remain the same. Those who are more technically inclined will likely find the pace a bit too slow, but don’t complain, this book isn’t written for you. I can see designers and beginners finding this book invaluable for their jobs. Note: If you’re a tech book author or publisher and you’d like me to review a book, please contact me. If you provide me with a copy of the book, I’ll be happy to review it.